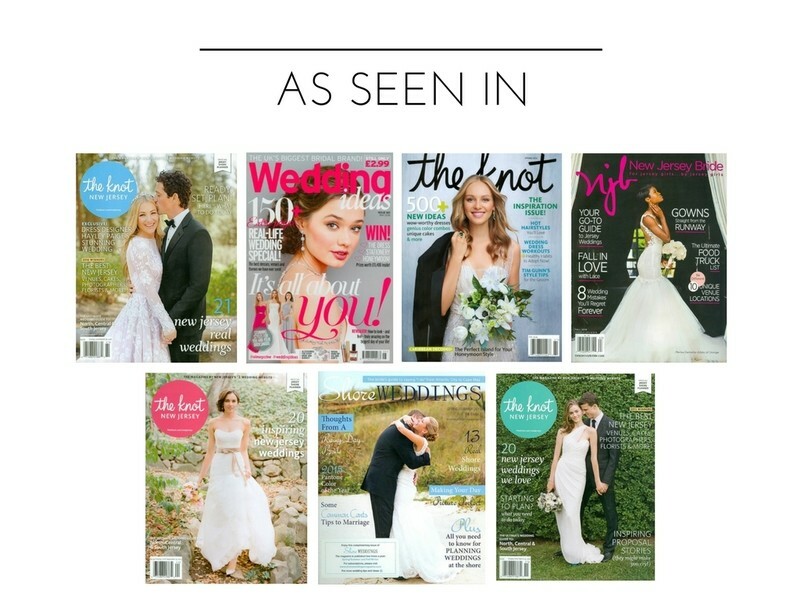 *The Knot (National), *Wedding Ideas (Europe), *New Jersey Bride, *The Knot (NJ), *Shore Weddings, and *Visitor Magazine. For quality and perfection, only one wedding is scheduled per day, making it possible for every single wedding to include JAMIE & FULL DAY coverage. Local Weddings begin at $3250. Add-ons available. Please make your way to the contact page to inquire about custom packages & pricing.